The RAISEup Texas Demonstration Project has provided PROVEN results ready to take to scale. RAISEup Texas can change the lives of tens of thousands of students. E3 Alliance is now seeking a total of $5.5M: $3.3M in private investment, to be matched by $2.2M in district investment, to scale to 16 schools of concentrated need over the next five years. The lives of over 28,000 students will be changed over a 5 year scaling plan while laying the groundwork for sustained change for many more. 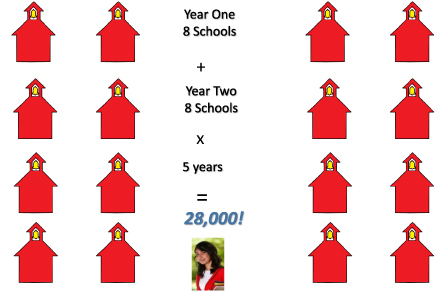 By targeting enough of those schools – the right schools – there is a unique opportunity to demonstrate a tipping point for real population-level impact that shifts economic outcomes for an entire region.